"Greeting the New Arrival" is an original pastel painting by the nature artist Cristolin. 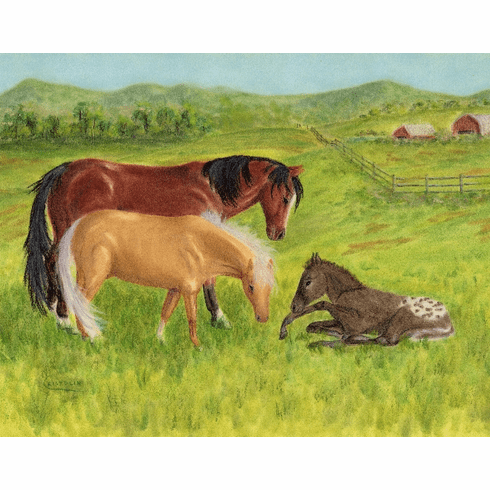 In a setting of lush, rolling pastures, two curious ponies investigate the odd-looking new arrival with the long legs and strange spots. The cheerful colors, sweet ponies, and old-time style make this a lovely addition to a child's room.